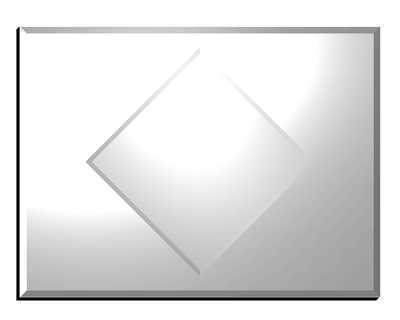 A rectangular bevelled mirror with a diamond shaped bevelled centre. Overall size.101X76cm. A bevelled rectangular wall mirror with a bevelled centre diamond shaped mirror.